Wessex Archaeology was commissioned by Landmarc Support Services on behalf of Defence Estates to undertake an archaeological desk-based assessment (DBA) and monument condition survey of Fingringhoe and Middlewick Ranges and Friday Wood Dry Training Area (DTA) - hereafter referred to as ‘the Site’. The Site, centred on NGR 601458, 219090 and covers a total area of approximately 1,521 hectares. The project has been undertaken in accordance with the Project Brief (Defence Estates 2008) and Written Scheme of Investigation (Wessex Archaeology 2008). Fieldwork was undertaken between the 18th and 22nd February 2008. The DBA records 82 known archaeological sites (either monuments, findspots or buildings) with the Site. As part of the condition survey, eight further monuments or built structures were observed. As part of the assessment an additional 25 known archaeological remains that are located in close proximity to the Site are considered as part of the desk-based assessment but not recorded as part of the condition survey, making the total number of archaeological sites recorded as 115. The archaeological remains range in date from the early prehistoric (Mesolithic) through to the modern military remains associated with the defence of Britain during the Second World War. The topography of the landscape has influenced the type and form of archaeological remains that have been discovered within the Site. 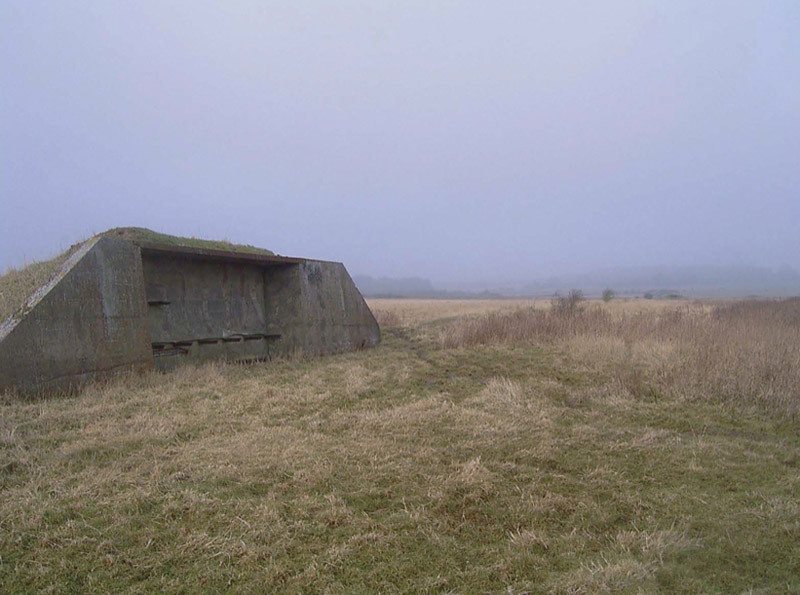 The Fingringhoe range is dominated by Roman salt workings, known as red hills, within the low-lying salt marsh areas and WWII pillboxes ring the coastal edge. Friday Wood contains the important Iron Age Scheduled Monument of Berechurch Dyke which formed the eastern edge of the important Iron Age oppidum. Numerous cropmarks which probably relate to late prehistoric settlement activity is recorded across the Friday Wood and Middlewick area. Traces of First World War practice trenches are also recorded from aerial photographs in the eastern section of Friday Wood. The survey recorded the condition, stability and vulnerability of 66 monuments within the Site. The vast majority were assessed as being either in Good or Fair Condition. In addition these monuments were considered to be Stable with a few assessed as being of Gradual Decline. A cluster of monuments within Fingringhoe Range accounts for monuments in Poor condition. This condition is due to the extensive animal (rabbit) burrowing especially within the Roman red hills on the low-lying reclaimed marshland. For a couple of monuments this impact is considered to be of high vulnerability and some form of management is recommended. It is also recommended that the extent of erosion caused by human influences is monitored especially on the redoubt in Middlewick Range. A copy of the desk-based assessment is available to download below.